Thanks to Liew and the team, Rimba has created Peninsular Malaysia’s first online map containing 445 hills. This GIS map can easily be accessed by anyone who has Google Earth. This map is not a final product, but can be constantly improved by anyone who wants to add spatial or biological information on limestone hills. All the methods and data are available for anyone to reuse, revise, remix and redistribute. With this map, we were finally able to conduct a simple conservation prioritisation exercise for limestone hills based on their size and the degree to which they are isolated and disturbed. You can find our paper published here in the journal Tropical Conservation Science. Meanwhile, here are videos that explain the methodology, and how to update and use this map! Ever wonder what can happen to majestic limestone karsts like these in Malaysia? 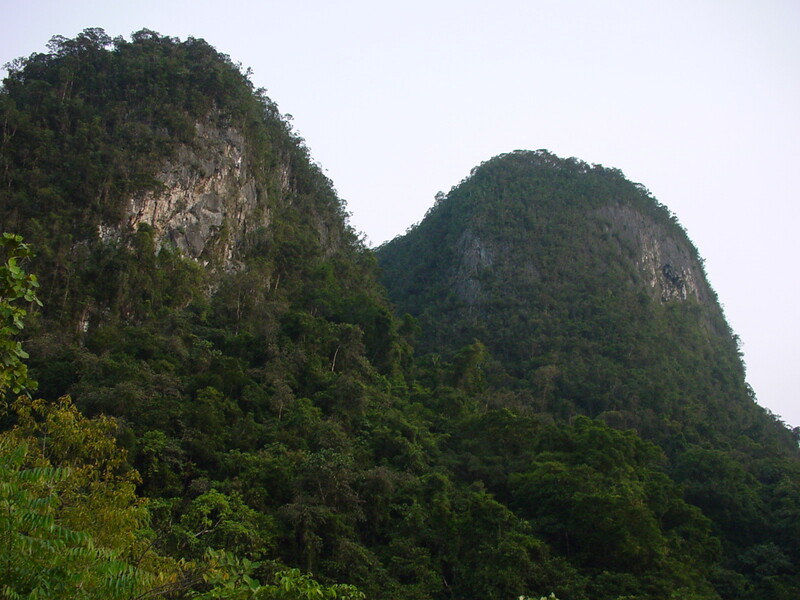 Good Times recently featured a story on the sad fate of the Panching limestone karsts in Pahang, Malaysia, and Rimba reseachers Reuben and Liew gave their two cents worth. You can read the article here. Most of these karsts were formed millions of years ago and are now home to many endemic plants and animals. This review paper will tell just how special and imperiled these ecosystems are. As our mission statement says, Rimba is not against economic pursuits such as limestone quarrying, but certain groups of karsts that have been isolated for millions of years should be spared from quarrying as they are likely to support many biologically unique organisms. Here’s another paper that talks about the factors that should be considered when companies are deciding on which karsts to quarry. It’s time to use science to make smart decisions and avoid losing very special organisms that the world will never see again.